ARE YOU LOOKING FOR THE Best Laptops for Sketchup? Before the world knew the word SOFTWARE, every work is done manually, maps for countries, plans for a building and designs for construction were all done manually by hands and scales. Now, everything controlled by computers and software. Software got so advanced that all types of designing can do before constructing any real object. One of these awesome software is SketchUp. In the world of competition, numerous models may fit this category. But for the ease of viewers, we have shortlisted some main requirements of SketchUp software based on the Official Guidelines of Sketchup. 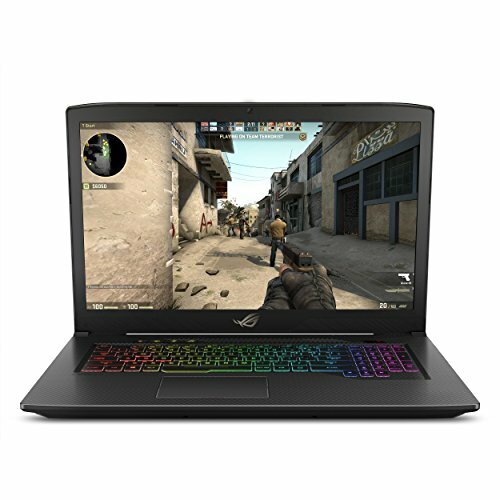 NOTE: if you have time shortage you can go with HP OMEN 15 and ASUS ROG STRIX SCAR, as these highly recommended among these 5 laptops. Classy model of HP OMEN gives a war zone vibes. The Omen logo is present in the center of the backlit with a combination of brushed aluminum and carbon fibers placed in a synchronized diagonal manner. There is a crimson crosshair too that meets the Omen logo in the center. Overall it gives a very tough and strong vibe. The back has been divided into 4 portions by design with the help of the crosshair. The screen is also not connected wholly to the chassis. Only two connections are holding the giant screen. This also gives an aura of a warrior. The touchpad is a bit left to the common central location. The edges of the screen and the chassis are not entirely round instead giving a sharp edging look. The power button is on the top left side of the frame. There is also Omen logo below the display screen. Talking about the portability of the device, it weighs 5.56 pounds. This sounds quite heavy and less portable. Due to its heavy weight, it suggested that it should not use for carrying around on trips. The 15.6 inches display screen of HP Omen 15 has a screen resolution of 1080 pixels. It equipped with NVIDIA GeForce GTX 1060 Graphics Coprocessor. The display panel, in spite of useful display features, is a bit dimmer. But worry not, as it provides substantial and vibrant colors. The display of this model is quite sharp. While watching any drama series or playing games you can quickly point out the small details of the scenario. Not only this the colorful and high-resolution screen makes it quite amusing to play games and to watch your favorite tv shows. Talking about the brightness of this device’s panel, it mentioned earlier that the display is dim. It can be quantified as having 266 nits of screen brightness. This value is lower than the average category of 276 nits. In this competition, the Alienware M15 marked 284 nits of brightness while Zephyrus S had an outstanding brightness of 335 nits. Omen 15 equipped with Intel Corei7-8750H 2.2 GHz processor with a RAM of 16 GB. 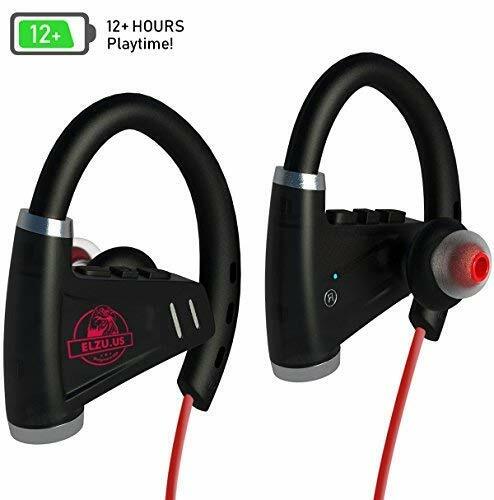 This model provides non-stop fun with such a reliable and efficient performance features. Even when 40 Chrome tabs were running along with the live streaming of your favorite season, this HP model does not provide a single fault to found in its performance. The hard drive storage of this device is 1 TB which is very compatible with the other features and provides a lot of space to store your favorite dramas and movies along with the massive games. The HP Omen provides all the necessary quantity of ports to its users for playing games and streaming purposes. On the left side, one USB 3.1 Generation 1 port, an SD card slot and two input jacks for headphone and microphone are present separately. This model has a unique location for the placement of ports, and that is the backside of the screen. There is an RJ-45 Ethernet port, one USB 3.1 Generation 1 port with always-on charging, an HDMI 2.0 port, a Mini DisplayPort, one Thunderbolt 3 port and a security lock slot. The right side of the chassis hosts a USB 3.1 Generation 1 Port and a power jack. The battery life of HP Omen 15 is quite disappointing. This model lasted only about 4 hours after surfing continuously on the web at 150 nits of brightness. As for SketchUp, this fits all the requirements. Also, due to its stable RAM and excellent graphics, it will be very suitable for such software. Nitro 5 by Acer comprises mainly of black color with the coupling of crimson. This gives quite a romantic vibe when you tell the first look on the model. There are crimson edging on the keypad and the keyboard keys. The keyboard location is also signified clearly by engraving it inside the chassis by diagonal cuts. The keypad is on the left side of the middle line of the chassis. The lower edges of the chassis are cut diagonally and give a sharp feeling. Same boundaries provided on the top side of the display screen. Along crimson hinge connects the screen and the chassis. There is a shiny Acer logo below the display screen on the rubbed surface of the device. The back of the Acer Nitro 5 gives an energetic vibe. There is an Acer logo in the center while the opposite sides have a line growing diagonally inside and leaving an impression. The exhaust system of the device can seen on the backside of the chassis below the screen. It gives the look of a Leopard with sharp teeth. Acer Nitro 5 has a display screen of 15.6 inches, but the display features are quite disappointing. Not only the screen is colorless, but it also gave color-mixed views even watching some action movies. By using Windows 10 color Calibration software, you can lower down the red and green tones, and you can immediately improve the white balance of the display screen. On a positive note, the display screen of Acer Nitro 5 is quite sharp. Due to a higher screen resolution of 1920 x 1080, all the details in spite of color dullness were visible and luckily distinguishable. The brightness of this screening panel is also reasonably good. It marked 257 nits highest limit of light. It is two points above the budget-gaming category average brightness. Not only this, Acer Nitro 5’s screen is brighter than MSI GL62M 7REX, that has a lower brightness level of 198 nits. This model of Acer has an outstanding performance with a 2.3 GHz i5-8300H processor (up to 4 GHz in turbo mode), RAM of 8 GB and a hard drive of 2 TB SSD. There is quite a large room for storing your data and installing your favorite apps and games. Even while the Google Chrome had a dozen of tabs running along with other apps working, this device did not show any delay or slowing down. As this laptop made initially for gaming, it also fully supports VR Gaming. It is also equipped with NVIDIA GeForce GTX 1050 Ti GPU. 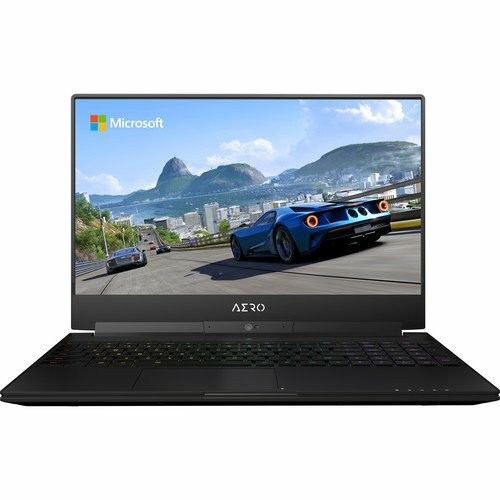 Due to this characteristic, this model of Acer is an outstanding performer for the price and also plays graphics-intensive games at lower settings. This device hosts quite some ports that are all needed nowadays. On the right side of the chassis, there is a 3.5 mm headphone/ mic combo jack, two USB 2.0 ports, and a power jack. For more detailing, there are also two indicator LEDs for charging and power status. The left side of the chassis is quite heavy. There is an SD card slot, a USB 3.0, an HDMI, a USB 3.1, a Gigabits Ethernet and a Kensington lock. As for the budget gaming laptop, the battery life of this device is excellent. When continuous internet surfing done at 150 nits of brightness, Acer Nitro 5 lasted for about 5 hours. Nitro 5 can prove to be a good laptop for SketchUp, due to its high storage capacity and 2.3 GHz processor. But the negative impact is the low standard display. If you can compromise on the screen, Nitro 5 will be a blast. This time Dell comes with brand new design and style with Dell G7 15. It feels calm as the breeze and fresh as sea when you look at it. This model has a black and blue chassis that gives whole new vibes to it. There is the greyish silver hinge in the center between the display screen and the chassis. The backside of the chassis below the screen looks like eyes of a predator giving off blue colors. It’s the heat exhaust system of the device. All the edges of the screen and the chassis are sharp. There is a blue DELL logo located below the screen. The keyboard keys almost leveled with the chassis. This gives quote smooth feeling when you type. Weighing 6.3 pounds, this device is no-go for trips or to carry around. But the good thing is that, in spite of being quite heavy, its dimensions give a smart and slimmer look. It is narrower than Acer Predator Helios 300 that has dimensions of 15.4 x 10.5 x 1.5 inches. The 15.6 inches screen of Dell G7 15 is outstanding when it comes to colors and sharpness. It’s 1920 x 1080 pixels panel provides a fabulous view of anything you watch on it. Either it is movies or playing games, it does give a perfect look with a lot of detail. Coming towards the brightness of the screen, well it’s something that’s lacking. While being a gaming laptop, the device is expected to cross the average brightness level for the mainstream that is 296 nits. Unfortunately, G7 15 hits the brightness of 232 nits. 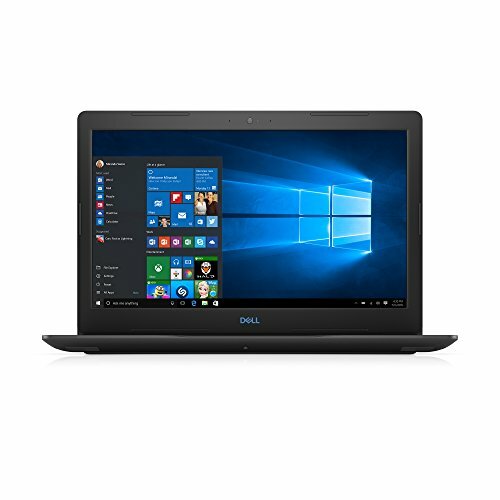 Dell G7 is equipped with 2.2 GHz Intel Core i7-8750H processor along with a RAM of 16 GB. Such characteristics make it multitasker. It has a lot of storage capacity for your data and installing your favorite apps and games. The hard drive storage capacity is 1 TB with secondary storage of 128 GB. Even when a dozen of Google Chrome tabs were running along with a Netflix season and an overall scanning by Windows Defender, the multitasking ability of this device did not decrease a bit. When it comes to battery life, Dell provides one of the best models. This model is no exception as it lasted for about 5 and a half hour under continuous web searching at a brightness of 150 nits. Dell G7 15 highly recommended for SketchUp because of the excellent performance history of DELL laptops. This one has a long battery life, which is a plus point among all the notebooks reviewed in this post. But the same problem comes as with the Nitro 5, that G7 has brightness issues. If you ignore this, it is not a bad choice to go. Finally, this time ASUS puts back all the conventional models and presents a very new and unique look. From a killer back display to its colorful keyboard and rubbed chassis, everything is just fine and smooth. The back screen of the model has a large and prominent SCAR, as mentioned in the name of the model. This gives a sharp look to the model. There is a logo of ROG on the right side of the back-lit in crimson, providing even more scary vibes. The screen is connected to the chassis with the help of two hinges at the ends. The exhaust heat system provided at the back of the chassis below the lit. Even the keyboard comes with a scar. There is a shallow keyboard provided inside the chassis. This keyboard is not rectangular slightly a bit extended from the right bottom side. There are also some buttons apart from the keyboard for volume up and down; located on the top left of the keyboard. On the top right, the power button located. The 17.3 inches display of ROG Strix Scar delivers a maximum resolution of 1080 pixels. It has high refresh rate displays including both 120 Hz and 144 Hz. From a gamer point of view, it is very beneficial when you go from 60 Hz to 120 Hz. It is even more useful than switching to a higher screen resolution. The higher the refresh rates, the smoother will be the playback and high chances of a competitive gain in fast-paced FPS games. Coming towards the vision rating of the screen, it is bright as well as vividly colorful. When watching movies or playing games, all the scenes look very clear and vivid on the screen. All the small details are visible on display. The most positive side of Strix Scar’s screen is the higher brightness. It has a screen brightness of 297 nits, which is much higher than the 257 nits average brightness value. Strix Scar’s shine also leaves behind the Aspire, the Legion and the Inspiron with a brightness of 247, 220 and 219 respectively. This device equipped with 2.2 GHz and Intel’s first mobile Core i7 processor with 6 cores and 12 threads. This feature increases its production by 23 % than the previous generation quad-core processors. The RAM installed in this device is of 16 GB and Hard drive storage of 1000 GB. Also with the furnishing of NVIDIA GeForce GTX 10- series, the graphics provide the highest possible gaming performance along with a VR experience. Another feature contributing to its excellent performance is the Anti-Dust cooling system installed in it. This system efficiently exits the dust and debris entered into the chassis. Thus improving the exhaust and cooling system and preventing the device from heating up, ultimately increasing the performance of the invention. This device has a lot of ports as compared to other devices. On the left side of the chassis, it has an Ethernet jack, Mini Displayport, HDMI output, a pair of USB 3.0 ports and a headphone jack. On the right side, there is a Slot of SD card reader, a USB 3.0 port, USB 2.0 port, and a Kensington lock slot. The battery life of Strix Scar is not something to brag. It severely lacks in this field. The battery of Strix Scar lasted for only 3 and a half hours when endless web searching is done. 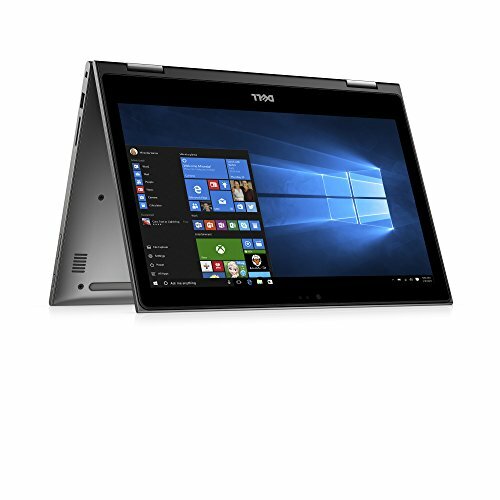 Such a unique and outstanding performing laptop personally recommended for SketchUp. It has the most prominent display screen among all the laptops mentioned here. This is an advantage when you are working with 3D modeling. From processor and RAM to Display and Design, everything is just excellent and praiseworthy. The only problem you can encounter can be the portability of the device, as it is quite heavy. Gigabyte 15W comes with a slimmer and sleek design. The older versions of Gigabyte had older processors while this time, it comes with a whole new feel. The backside of the lid is mostly smooth with a white logo of GIGABYTE in the center. There is an uphill shaped triangle at the bottom of the back-lit bounded by crimson. This gives the model a sensitive touch. The main difference comes with the position of the webcam. It located at the hinge where the screen and chassis meet. Above the webcam is the AERO logo. The screen is extensive and the casing is fragile around it. Coming towards the chassis, it also gives a smooth and clean view. The keyboard nicely spread on the frame throughout its width. The console itself is RGB. On top of the keyboard, in the center, the power button is placed alone. There are also some indication LEDs at the right bottom side of the chassis for charging etcetera. Talking about the display screen of this device, it is surprisingly superb. It is 15.6 inches LCD screen along with a maximum resolution of 1080 pixels. It covers 143 % sRGB, 98.8 % Adobe RGB and 101.6 % DCI P3. All these are exceptionally high scores. As proved by the facts and figures, the colors and contrasts of this device’s screen are outstanding. Not only this, but it also equipped with a particular mode called Pantone color mode. It gives a warm look like a professionally calibrated screen. Maximum brightness of Gigabyte’s screen display is 387 nits, which is far better than the majority of the devices out there. It equipped with 2.2 GHz Intel Core i7-8750H processor which is a part of Coffee Lake-generation of processors. It is equipped with Intel’s first 6-core mobile processor and has 50 % increased performance than the previous processors of Intel Core i7-7700HQ processor. For better gaming performance, there is a graphic Coprocessor of NVIDIA Max-Q GTX 1060 is installed with a VRAM of 6 GB. Although being thin and light, Gigabyte 15X has a lot of connectivity ports. There are three full-sized USB Ports and a USB-C port with a Thunderbolt 3. There’s also a DisplayPort and full-sized HDMI along with an Ethernet RJ-45 and lastly an SD card reader. The battery life of Gigabyte Aero 15X is not as expected. It lasted only 4 hours when a video is played continuously at 120 nits of brightness. Gigabyte 15w also recommended due to its high portability. If you often have to take a laptop with you to the office or tours, you might go for this one. All other features are also useful especially the screen brightness. You may encounter some problems related to the battery time, but that is not a big one. 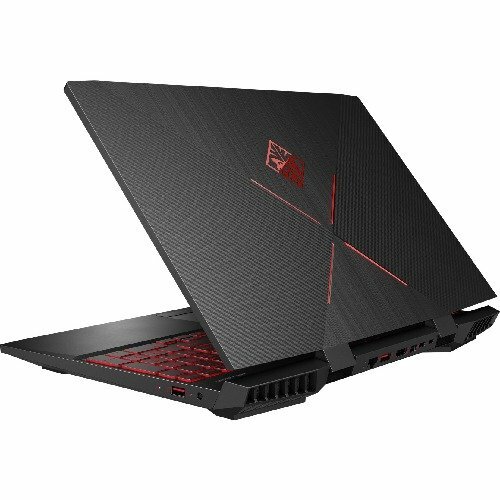 After reviewing all the 5 best laptops for SketchUp and their features, Laptopgeeks’ team suggests to go with Dell G7 15 if you want a long battery life, Gigabyte 15W Aero, if you wish to highly portable laptop and overall best recommendations, are HP Omen 15 and ASUS ROG Strix Scar; as mentioned in the start.